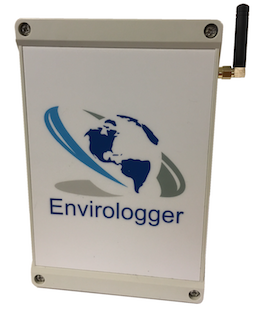 The mini web logger is a "push" technology internet data logger which can accept digital or analogue inputs from several popular environmental monitoring sensors and instruments. It is small, compact, and IP55 rated for outdoor use. It is battery operated and can also be used with renewable power sources such as solar panels or wind turbines along with a battery. The logger will collect data and using its internal Wi- Fi or cellular modem transmit it to an internet data server in near real time. Data is accessed using our browser based data analysis application, www.airmonitors.net, or an optional Windows software package as preferred. We also provide an API allowing direct online access to the database.